The silver wheels look a little 'standard' otherwise its very cool. 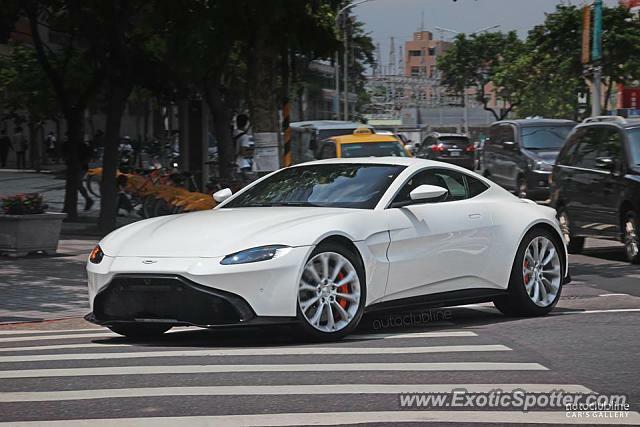 Loving these new Astons, but I feel like I would be more excited by the shape if it was a Tesla, you know what I mean? @gasolinesponge It just looks plain to me. White body, white-silver rims, few to no carbon bits. At least there's a splash of detail in the orange calipers. Not necessarily a bad thing (it still looks good), but I'd just rather have some more excitement in a spec. They must be rare in Taiwan!